What is the benefit of joining your association as a student or graduate? Whether you’re a graduate or have many years experience, we can all profit from an exchange of ideas. Tax is a dynamic profession – to provide great advice, practitioners must remain up-to-date with the changing landscape. 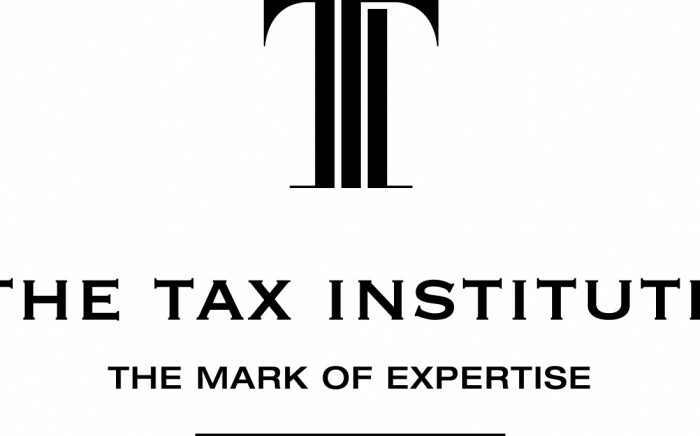 The Tax Institute is the only body devoted exclusively to tax – led by tax experts, to benefit tax experts. Join a community of the most knowledgeable practitioners and open the door to powerful resources, progressive education and influential networks. We are the first place practitioners go to meet their professional needs and strengthen their reputation. Numbering more than 13,000, members range from new entrants to experienced tax agents, accountants, lawyers and practitioners in corporations, government and academia. We have a reputation for being at the forefront of the tax profession. Let us help you raise your profile and strengthen your credentials. Taxpayers want to know their practitioner has the right qualifications to manage their affairs. As a member of The Tax Institute you will be equipped to provide the best advice in the constantly changing tax arena. And since we’re a recognised tax agent association, membership helps you meet the tax agent registration criteria. The Chartered Tax Adviser designation is an internationally recognised and respected mark of technical excellence and professional integrity. It is a guarantee that clients will receive the highest quality of tax advice. Our Chartered Tax Advisers join a network of 24,000 tax professionals worldwide to promote this new level of tax advice on the international stage. Being part of the leading body of tax professionals and opening doors to opportunities. The Tax Institute website is a useful resource when preparing assignments and conducting research. It includes daily news and updates, access to cases, rulings, legislation, seminar and convention papers, submissions on tax policy, administration and technical matters, archives of articles from Institute journals, updates on offers and events. Online job posting service. A powerful career tool and a direct link to opportunities within the tax profession. It brings together employers and job seekers Australia-wide. Quarterly student e-newsletter – with various helpful information, including access to previous and sample exam questions to give you the edge when preparing for exams. To download the latest version, click here. Australia’s leading monthly tax journal written by practitioners, it includes the latest tax news, rulings, ATO developments, product information and handy tips. An informative weekly e-newsletter with a helpful overview of the latest tax news and technical updates. Significantly discounted rates to attend Tax Institute seminars and events delivered by experts in the field. You will also receive discounts on online resources, publications and books. Enjoy networking with influential figures in the taxation profession as well as fellow students, prospective employers and future colleagues. Networking is a very important part of sharing tax knowledge and gaining a better understanding of how tax issues are managed across the profession. (Discounted and some free). Apply for free student membership here. What advice would you give in terms of successfully transitioning into the professional workforce? Your qualification puts you on the path for your career but doesn’t exactly open every door. From here on, the journey is about making the right choices, working with the right companies, and absorbing the expertise of industry professionals. And it’s about gaining the professional edge that will help you secure a strong place in business. How can I keep at the forefront of my profession? With the introduction of the new Chartered Tax Adviser designation – a globally recognised designation for members of The Tax Institute – the Chartered Tax Adviser Program is designed to step candidates through each course in the critical first years of their employment in a tax role, as well as provide a pathway through the different levels of membership of The Tax Institute, with the final goal the globally recognised Chartered Tax Adviser designation. Consisting of three courses, including the pinnacle CTA3 Advisory Exam, the program is now more closely aligned with work experience levels as proposed by the regulator, and The Tax Institute’s levels of membership. Catering for all tax professionals, from new entrants to the experience and career-minded tax practitioners, these practical courses will develop real-life skills that can be applied at work. The enhancements to the program will achieve the desired outcome of providing graduates of The Chartered Tax Adviser Program with the skills, as well as industry status and recognition, that is required to become a highly valued member of the tax profession.